The “Grand Idea” Results are in! As you know, our “Grand Idea” Campaign wrapped up in December 2018. Before discussing the Campaign results, I feel the need to reminisce a little about the history of our New Sanctuary from my perspective. Back in 2004, I remember several exciting moments during the construction of our New Sanctuary: the clearing of the site by the bulldozers, the pouring of the concrete foundation, and the setting in place of the steel beams. But by far, the most exciting memory I have was seeing the steeple, suspended from a large crane, slowly being lowered into its place at the top of the New Sanctuary. I remember several proud moments, like when I first saw the new steeple while driving north on Highway 67, near the Tidwell exit, and realizing that this steeple would be visible to everyone who entered Cedar Hill from the south. I was also extremely proud when I attended the first service/official dedication of the New Sanctuary and seeing the large crowd of members, family, and guests in attendance. I remember my surprise when I saw our New Sanctuary’s $2.5M price tag and its $16.2K monthly mortgage payments (refinanced to $11K per month a few years later). This mortgage immediately became the single largest line item in our annual budget. Unfortunately a few years later, we began to struggle to meet this mortgage payment along with our other FUMC operational/personnel expenses. As a result we frequently were unable to pay our Apportionments to the UMC. On our New Sanctuary’s tenth anniversary in 2014, I remember being frustrated when I realized our outstanding principle had only been reduced to $1.5M. 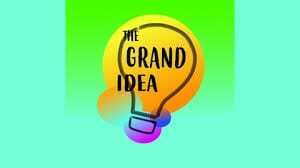 So after a great deal of prayerful consideration, we all took a big leap of faith, and officially launched “Grand Idea” in January 2017. Since that time, a great number of our church members made substantial donations to the Campaign – used to pay down the New Sanctuary’s outstanding principle. Thanks to your faithfulness, commitment, and generosity, we were able to prove the experts wrong and substantially reduce our mortgage balance from $1.4M to $495K! And we reduced our monthly mortgage payments from $11K/month to less than $5K/month! The experts did get one thing right, we did not receive 100% of our pledged amounts – we received 110%! I look forward to seeing all of you on Sunday!